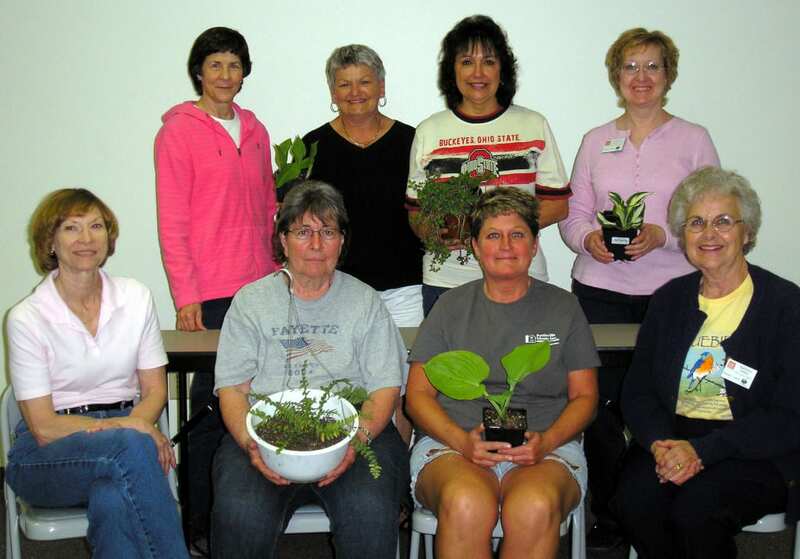 PLANT SALE … Members of the Williams County Master Gardeners Club met to finalize plans for the MG Plant Sale set for Saturday, May 18th at the Williams County Fairgrounds. The sale will start at 9:00 a.m. and will continue until sold out. The sale will feature several varieties of Hosta, Sedum, Day Lilies, Shasta Daisy, Ajuga, Cottage Pinks, Black-eyed Susan, Columbine, and Grasses. There will also be a few house plants. Pictured in first row are Jeanne Bonney, Julia Grant, Sheila Stuckey, and Barbara Deetz. Second row is Julianna Ruble, Cathy Sharp, Nancy Webb and Rickalene Chamberlain. Be the first to comment on "Master Gardener Plant Sale"